Mega magazine revealed their cover girl for the month of April with no less than Marian Rivera. “For MEGA’s April issue, our cover girl ushers in a new facet of summer: a rebirth of perspective and purpose. 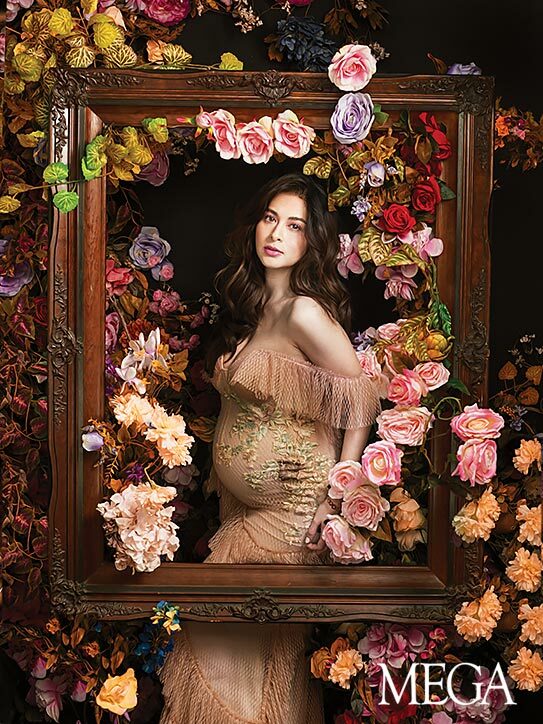 In what is clearly her most treasured role to date, Marian Rivera opens up about the joys of motherhood as she happily awaits baby number two,” Mega magazine’s IG post. During their cover shoot, the staff of Mega Magazine narrated how blooming Marian is. Marian said during the interview, “Hindi pala biro maging isang ina,” that it really pays off being a good mother to your child. She admitted that being a mother for the first time was a challenge for her. You always think of your husband, not even yourself. But it completes her when Zia came to their lives. Marian is wearing a blush ruffled dress by Steph Tan. For Marian, being pregnant is a great blessing. It’s a magical feeling to be able to give life to the world. Marian plans to have many children because she’s an only child. She is about to give birth anytime soon. Zia is the most excited to finally meet her baby brother. The MEGA April 2019 issue will be available on newsstands starting April 2.